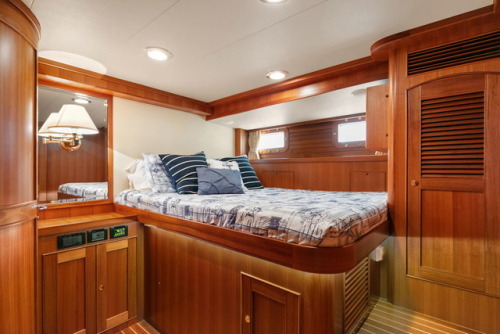 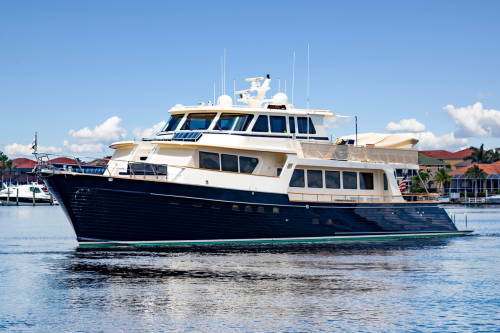 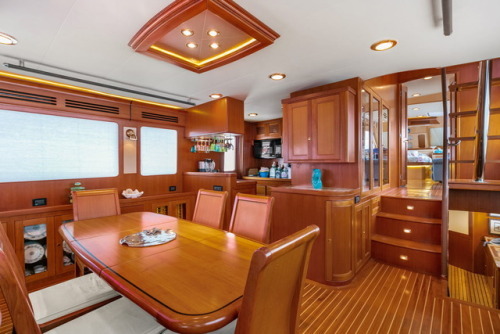 Built by Marlow in 2011, this 30m motor yacht for sale accommodates up to 12 overnight guests in 7 comfortably appointed cabins, all decked out in natural, high-quality wood. 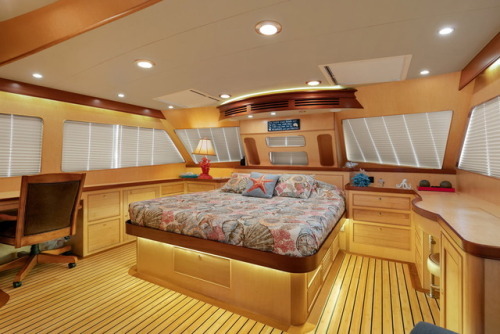 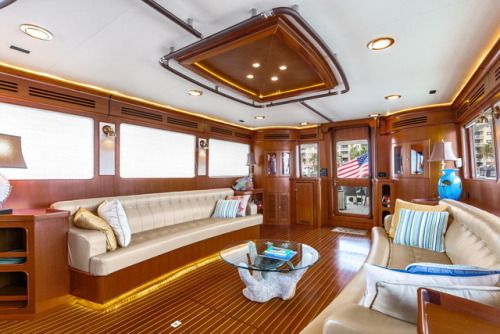 Conveniently located on the main deck, the master suite boasts an alluring freestanding marble tub and wonderful panoramic views, while the salon makes for the perfect place to unwind and socialize with home theater, plasma TV, and two lovely settees in soft leather upholstery. 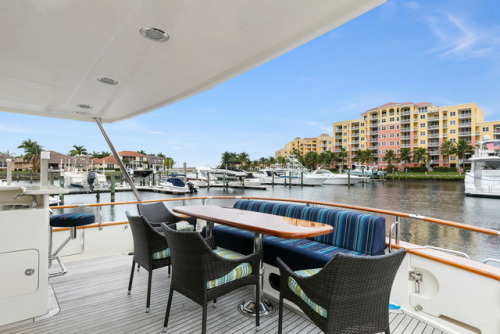 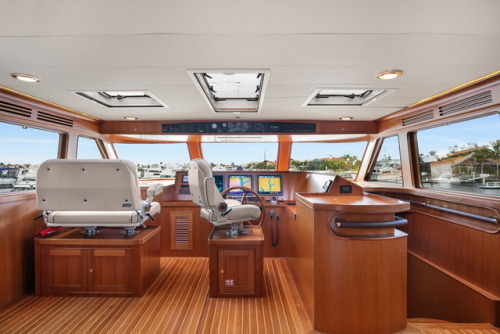 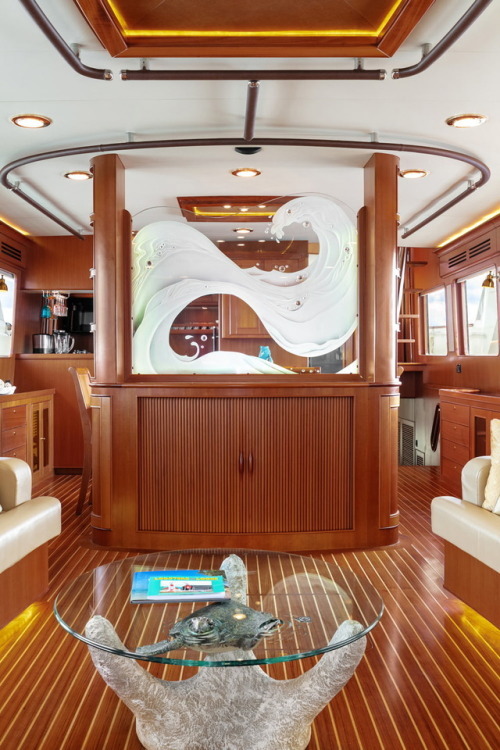 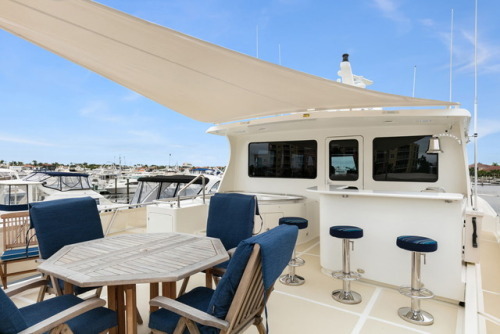 Lovers of alfresco entertaining will also appreciate Irish Rover’s outdoor formal dining area and her large sundeck, complete with Jacuzzi, outdoor galley, and built-in barbecue.